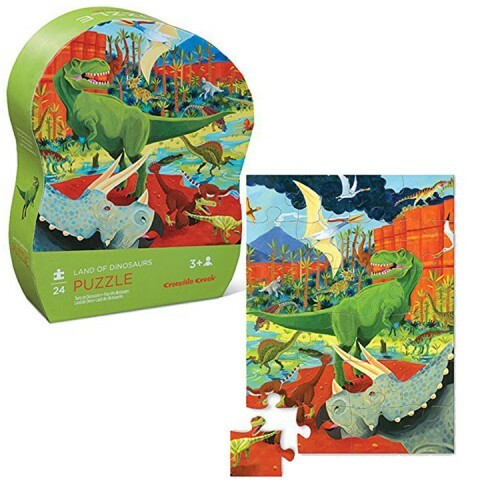 Land of Dinosaurs 24-pieces jigsaw recreates a colorful prehistoric landscape, full of kids' favorite dinosaurs: T-Rex, horned triceratops, velociraptor, iguanodon, pteranodon, and more. 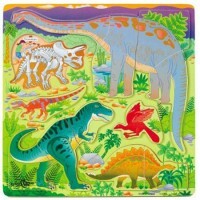 Travel far-far back in time to the Land of Dinosaurs! 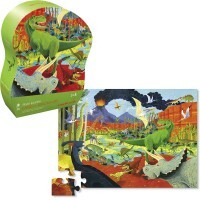 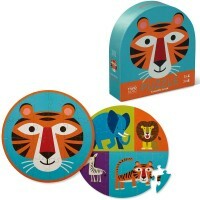 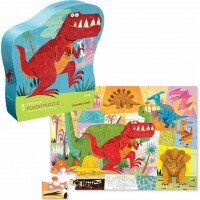 Land of Dinosaurs 24 pc Puzzle in Shaped Gift Box is a great gift for the young dinosaur fans. 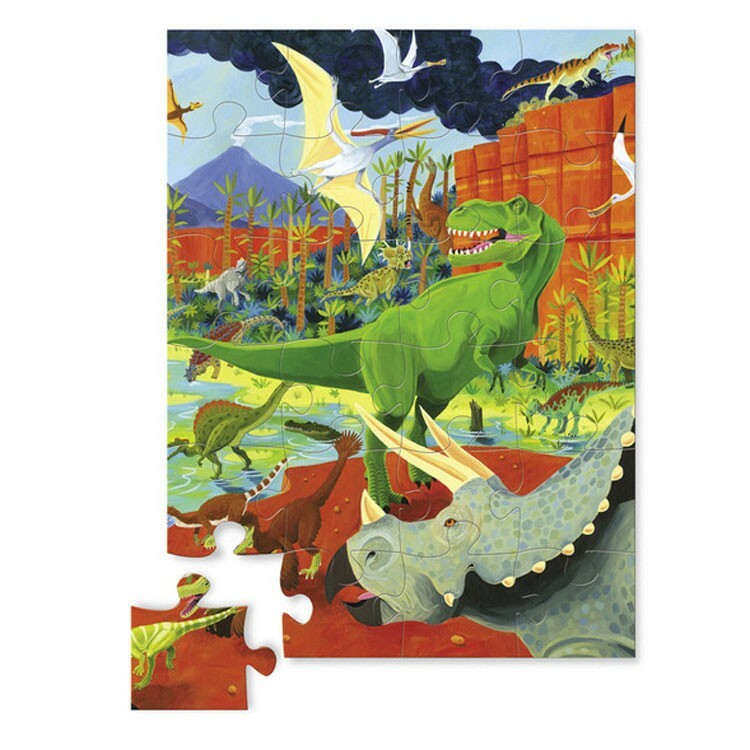 The beautifully illustrated 24-pieces jigsaw recreates a colorful prehistoric landscape and presents kids' favorite dinosaurs: T-Rex, horned triceratops, velociraptor, iguanodon, pteranodon, and more. The Land of Dinosaurs 24 pc Puzzle in Shaped Gift Box from Educational Toys Planet is a terrific addition to your home or preschool classroom puzzle collection. 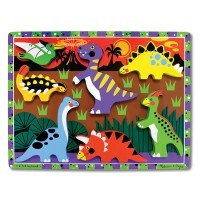 The assembled dino themed preschool puzzle measures 11 x 15 inches. 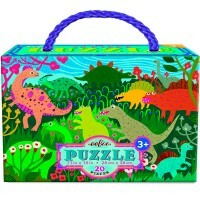 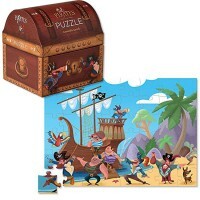 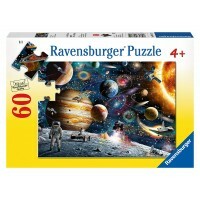 This boys popular puzzle will promote thinking skills and kids interest in paleontology. 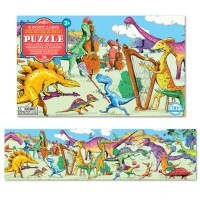 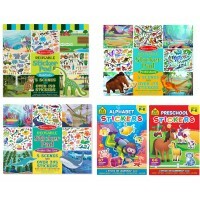 Dimensions of package 0.15" x 11" x 15"
Write your own review of Land of Dinosaurs 24 pc Puzzle in Shaped Gift Box.